ST12 Series | Film Capacitor - Electronic Concepts Inc. Type ST12 Polystyrene capacitors excel in performance characteristics such as capacitance stability, linear negative temperature coefficient, low dielectric absorption, low dissipation factor and high insulation resistance. These outstanding performance characteristics allow the ST12 capacitors to be used in precision timing circuits, wave filters, integrating circuits and other critical circuitry. 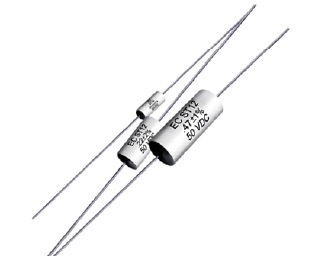 The type ST12 capacitor is offered in a “wrap and fill” configuration. The outer wrap is an electrical grade of Mylar film adhesive tape. The end fill is an epoxy resin specially formulated to bond with the Mylar film outer wrap forming a moisture resistant seal. Note: The fifth character of the part number represents the DC voltage (i.e. B=50 VDC, D=100 VDC, etc.). 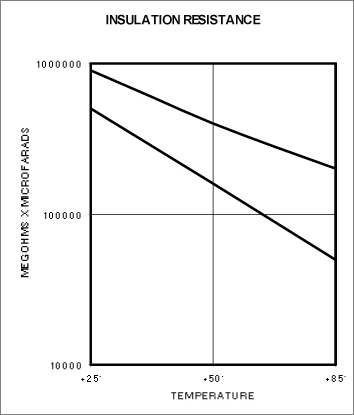 Additionally, the tenth character of the part number represents the capacitance tolerance: K=±10%, J=±5%, G=±2%, F=±1%. 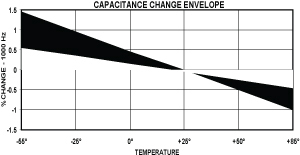 Capacitors will withstand a DC potential of 200% rated voltage for two (2) minutes without damage or breakdown. Test voltage is applied and discharged through a resistance of 1 OHM per volt minimum, and at 25°C. 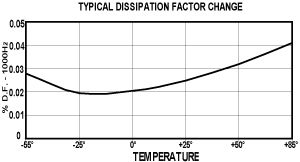 When measured at the frequency specified for capacitance measurements the dissipation factor will not exceed 0.05%.